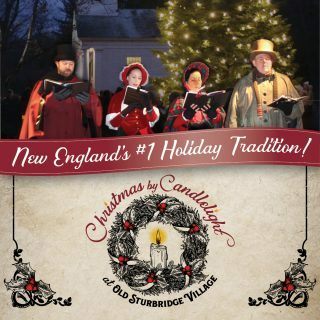 Christmas by Candlelight at Old Sturbridge Village is an evening filled with New England holiday traditions, live musical performances, storytelling, sleigh rides, festive foods, a roaring bonfire, and strolls around the decorated Village Common. 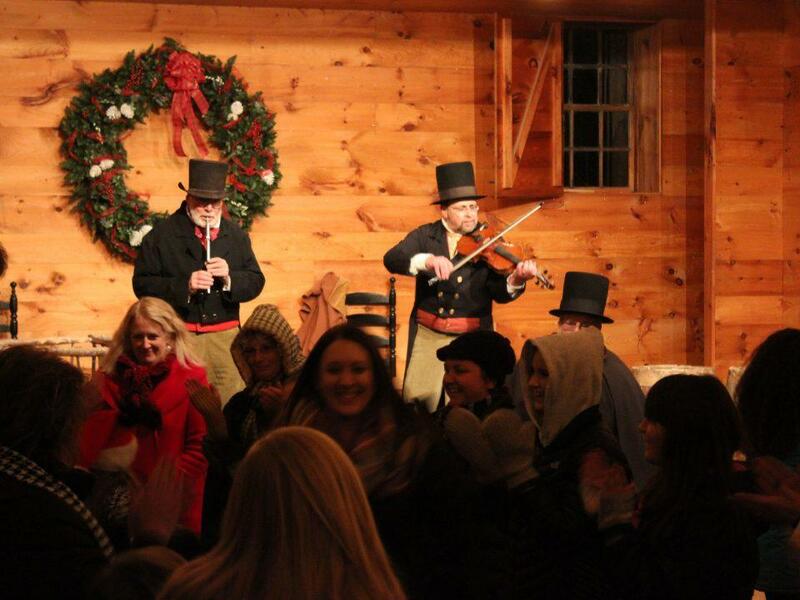 Do not miss the nightly tree lighting and the ever-popular gingerbread house contest! Check Back in the fall for more information about Christmas by Candlelight 2019! The Village Common and the buildings around it are transformed into a magical, picturesque nod to Christmases past. 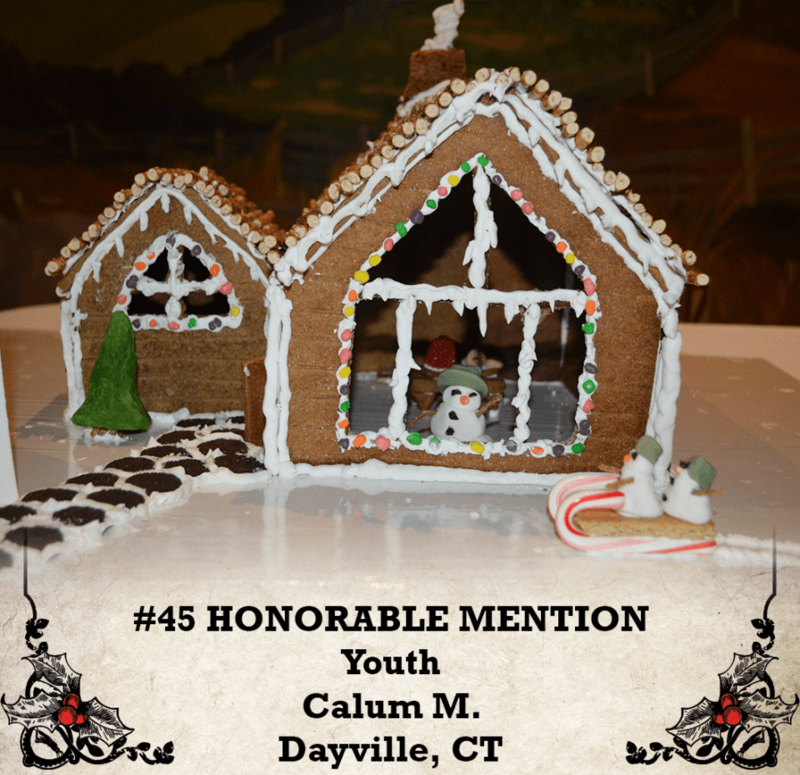 Decorations feature twinkling lights, glowing candles, fresh evergreen garlands and wreaths, and a 40 foot Village Christmas tree. 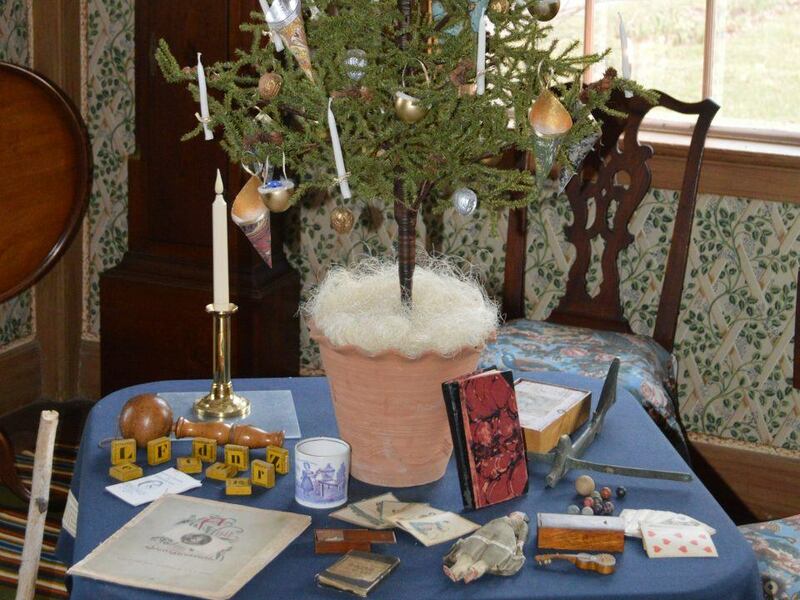 Rooms in the Salem Towne House show Christmas decorations like that of the 1830s, 1850s, and 1870s. 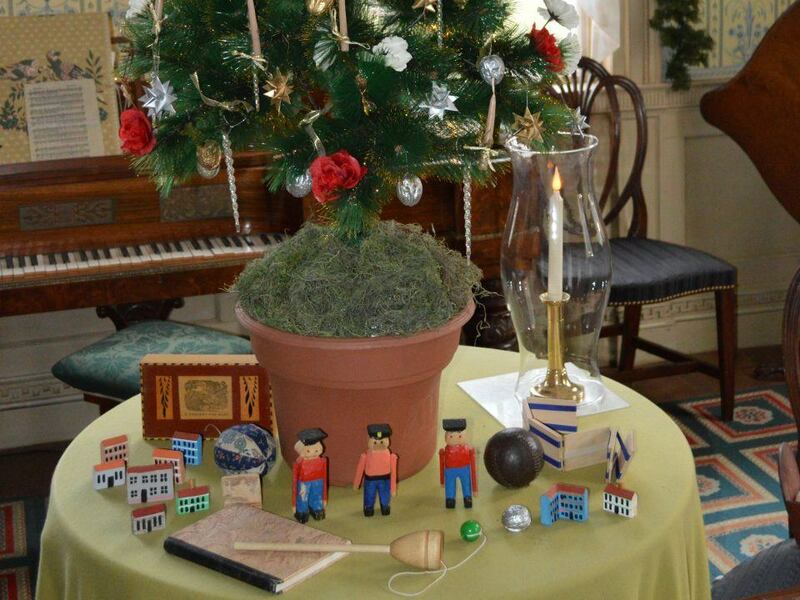 The Parsonage decorations are inspired by A Christmas Carol by Charles Dickens. Explore these buildings and more during your visit. Don’t miss the nightly tree lighting ceremony! 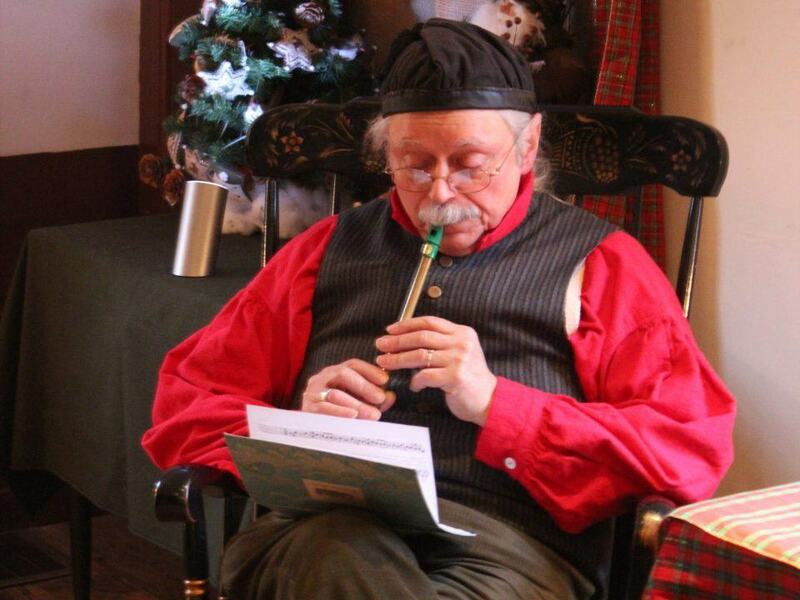 Music is a key part of the holiday season. 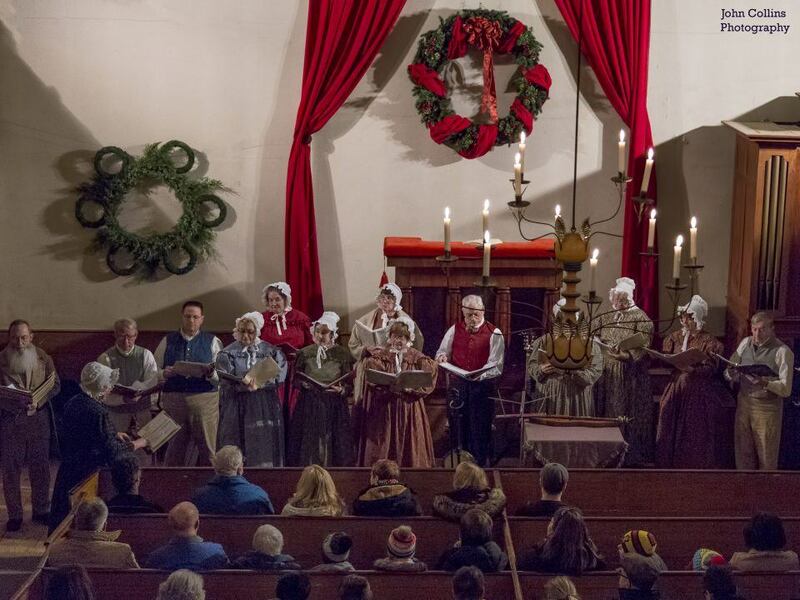 Throughout Christmas by Candlelight, Victorian carolers will stroll around the Village Common singing traditional carols and guest choirs and bands will perform in the Center Meetinghouse. A list of acts will be posted closer to the time. 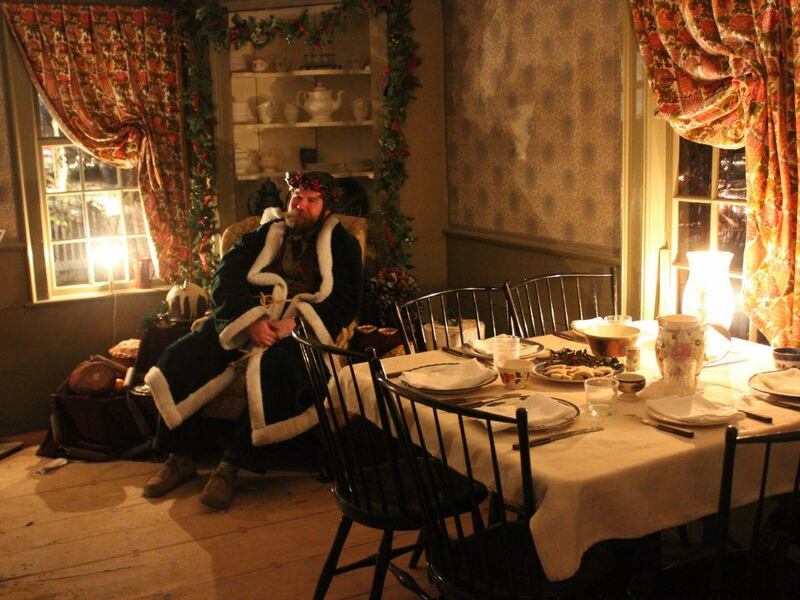 Gallery Row at Old Sturbridge Village will be transformed into North Pole Village, a place of bustling activities for adults and kids alike! 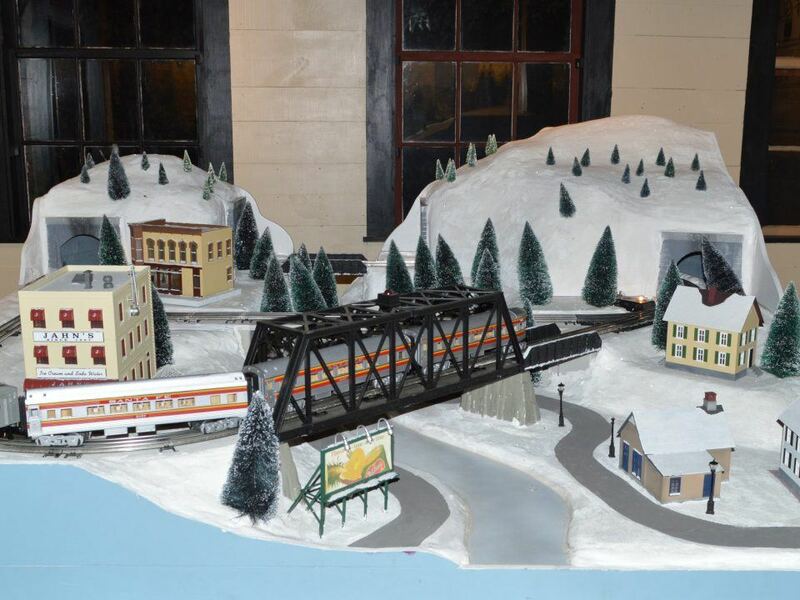 View the expanded model train display constructed by the Worcester Model Railroaders. This year, the display will feature some trains from the movie Joy. Warm up and indulge your sweet tooth at the Bake Shop. 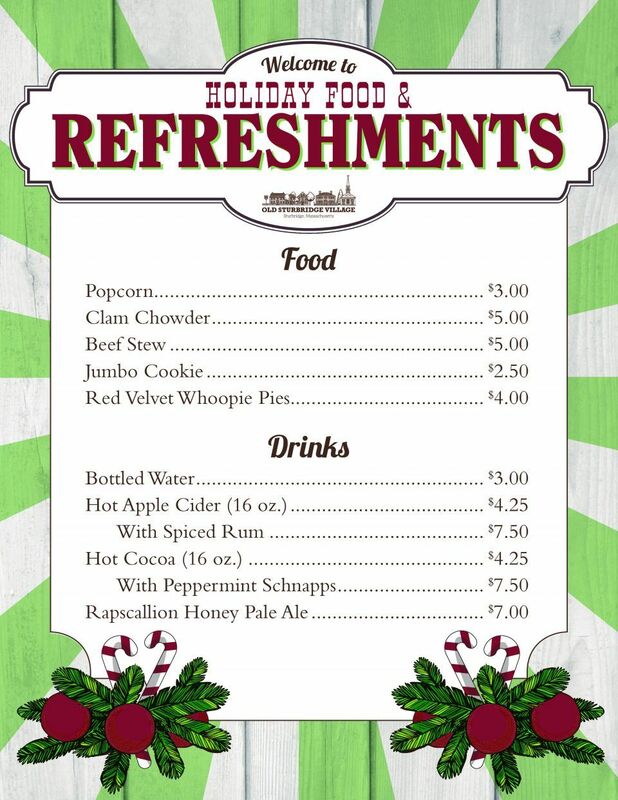 Purchase Christmas cookies, hot cider, hot chocolate, and other sweets. 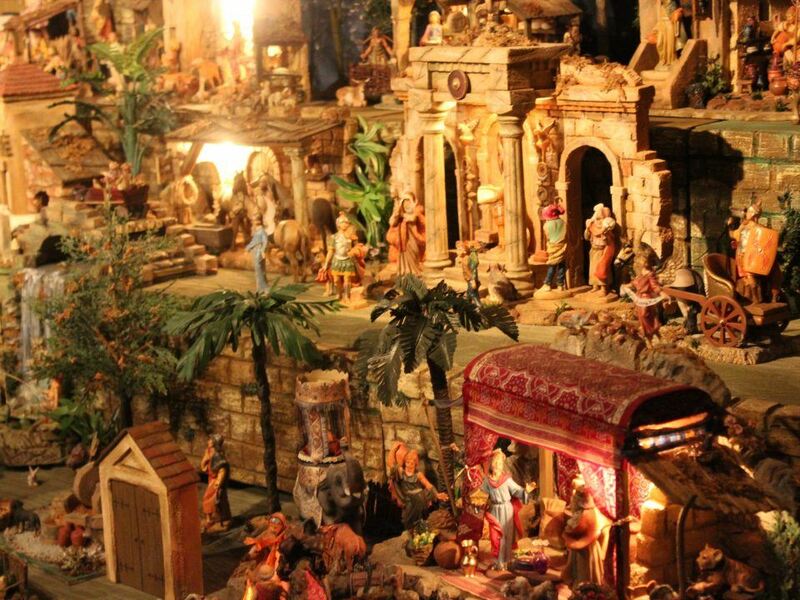 To learn more about how the nativity scene came to Christmas by Candlelight, click here. Learn about cherished holiday traditions, including roasting chestnuts, yule logs, mistletoe, and more! 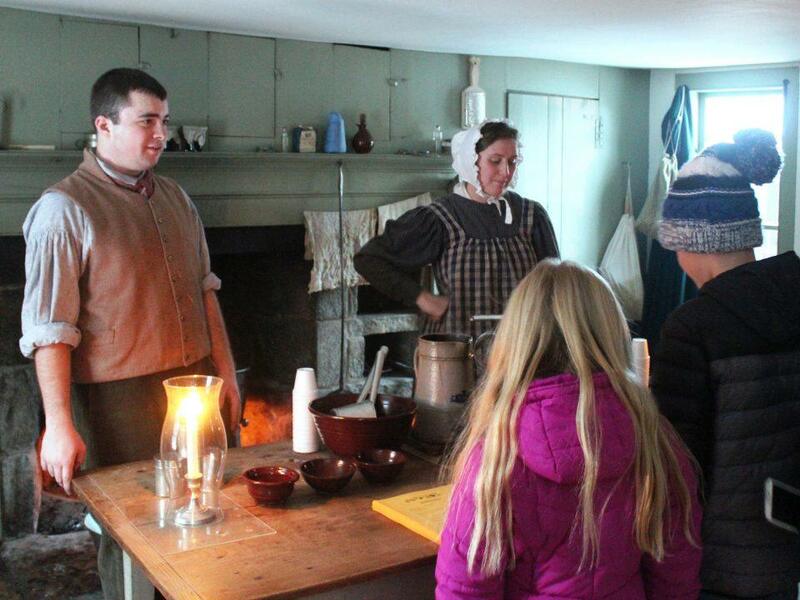 Also, be sure to check out demonstrations of period holiday baking and cider mulling, as well as tin-making, pottery and 19th-century printing. 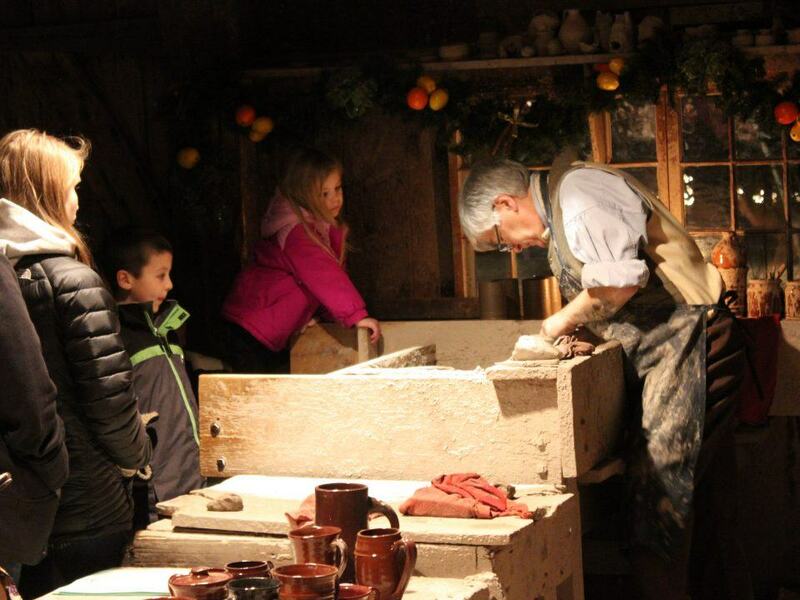 Guests get to see demonstrations like mulling cider the old-fashioned way and taste the sweet results! Warm up and relax by the large bonfire on the center common. 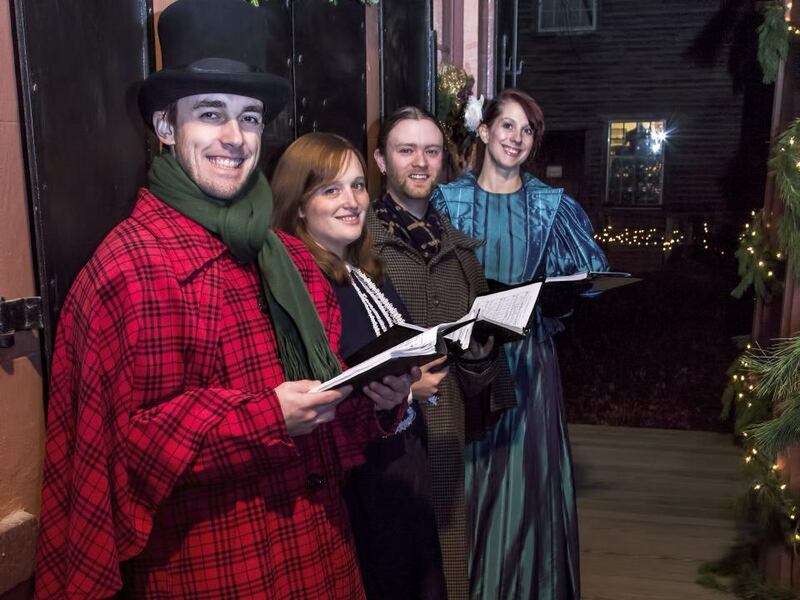 Carolers will periodically sing favorite carols nearby. 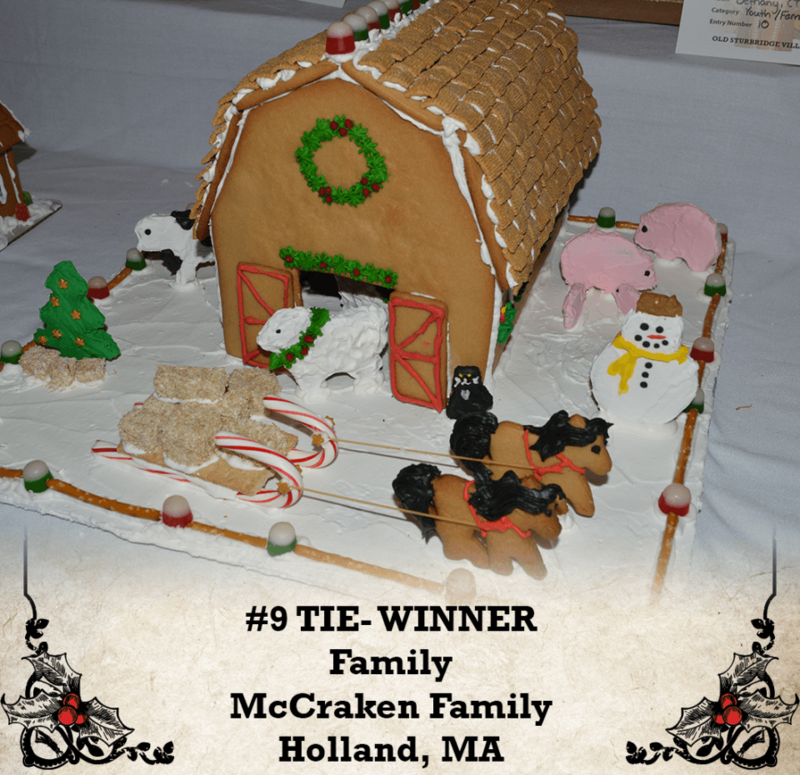 To enter Old Sturbridge Village’s 2018 Gingerbread Contest, entry forms must be received no later than November 23, 2018. 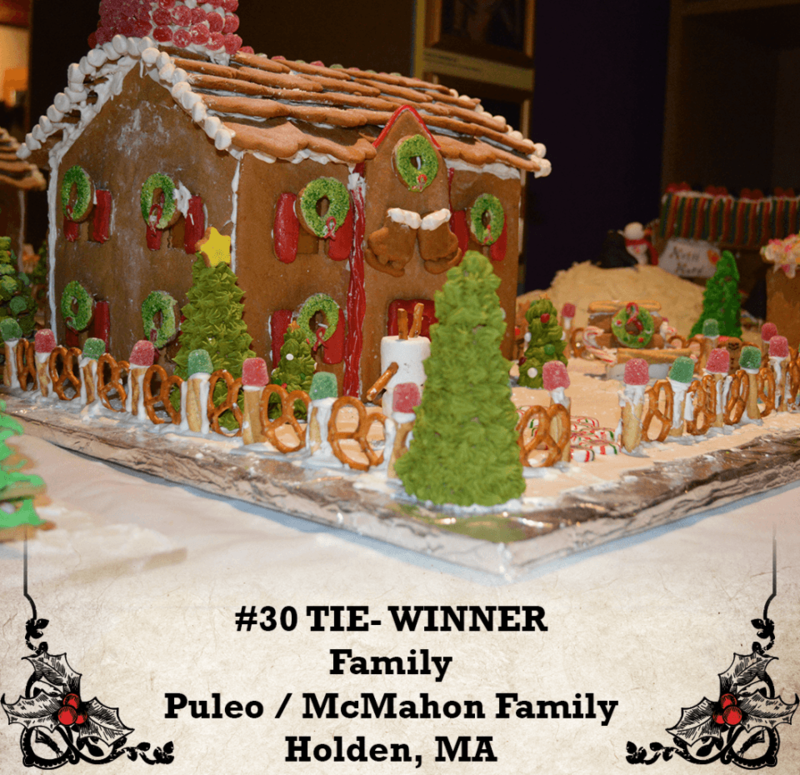 Entries must be delivered to the Visitors Center at Old Sturbridge Village in Sturbridge, MA on November 27, 28 or 29 between the hours of 9:00 am and 5:00 pm. 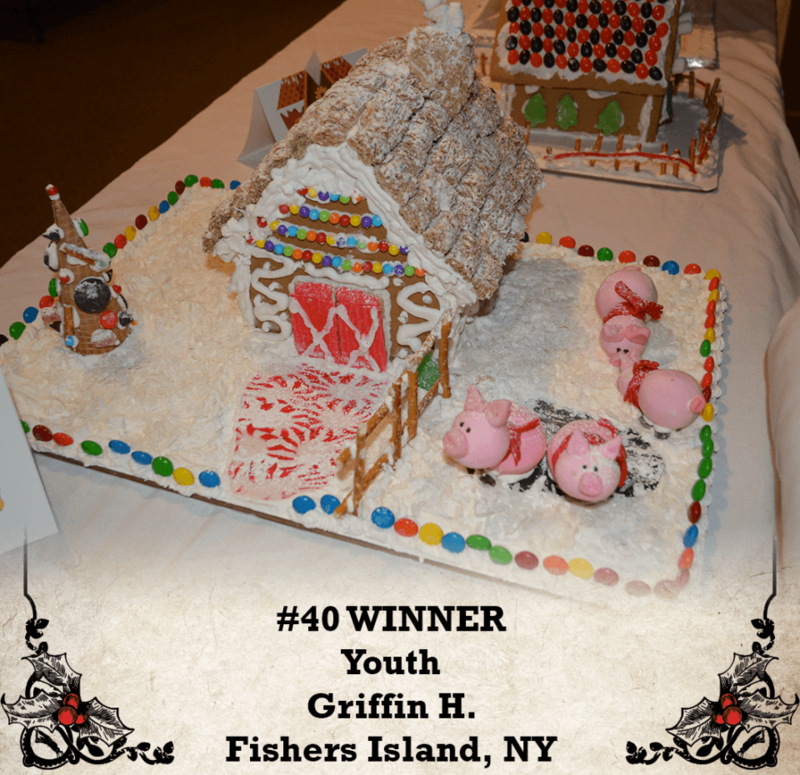 Entries must be made entirely of edible materials with the exception of the foundation board. No electric lights or additions are allowed! Foundation boards must be no larger than 24″ x 24″ and should be made of sturdy 1/4″ plywood; foundation boards can be covered with paper, foil or edible material. 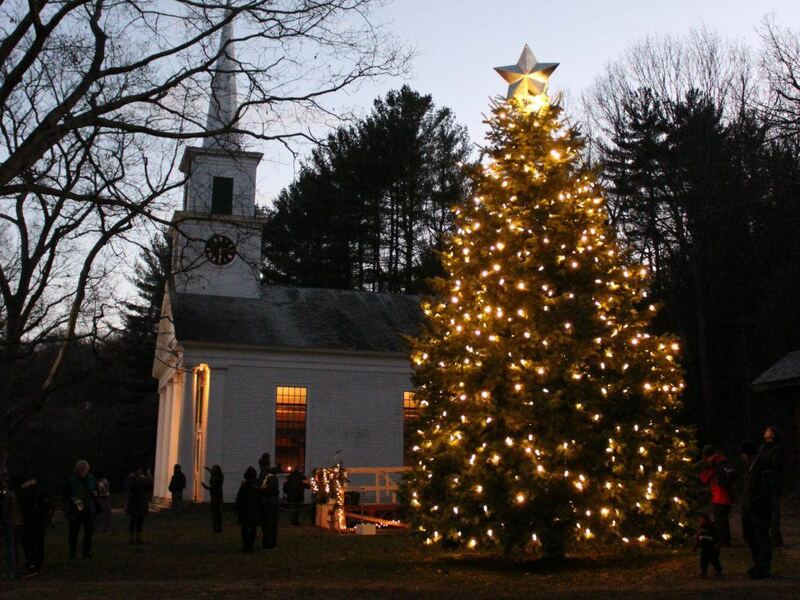 All entries will be on display during Old Sturbridge Village’s Christmas by Candlelight program beginning November 30, 2018 and concluding December 23, 2018. Entries can be picked up at the Village after Christmas by Candlelight concludes but on or before December 30. Unclaimed entries become the property of the Village, and will be destroyed. 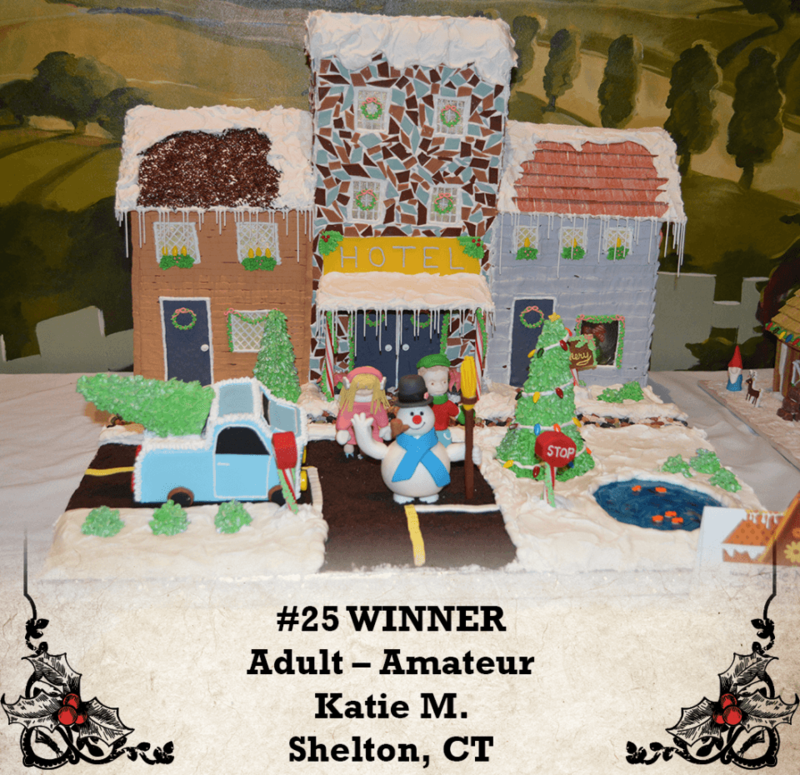 Old Sturbridge Village is not responsible for damaged or broken gingerbread houses, and will not maintain or repair entries. Guest judges will choose category winners, and Christmas by Candlelight attendees will select the guest favorite. 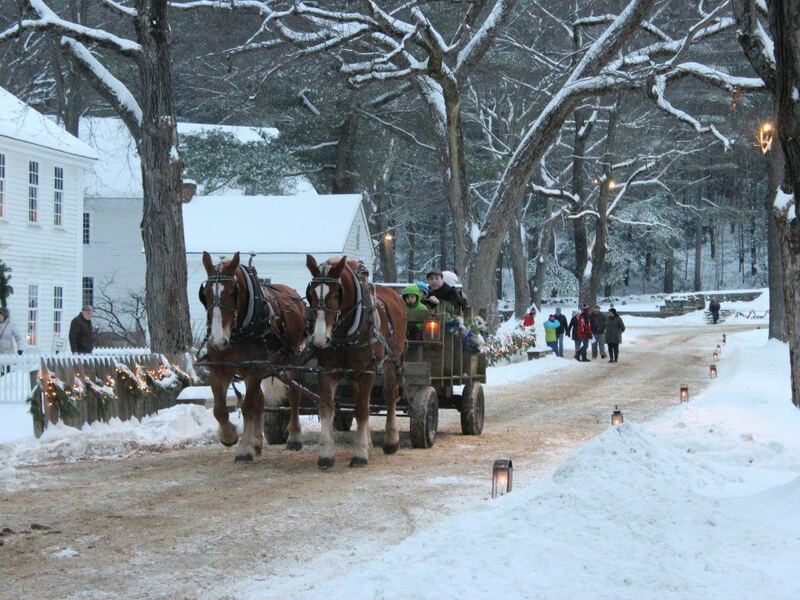 Enjoy a horse-drawn wagon or sleigh ride (depending on the weather) around the Village Common. Check back in the fall for more information! 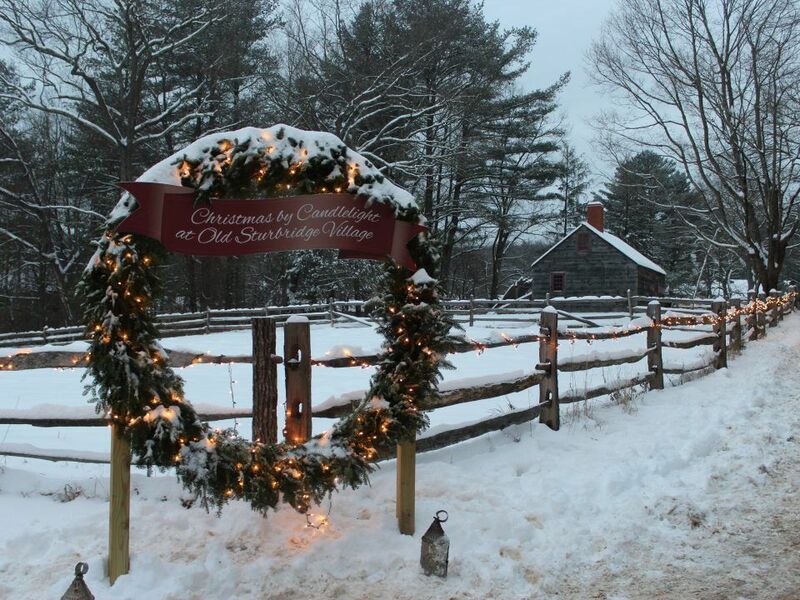 Old Sturbridge Village rarely closes due to weather but if a snow storm does hit and makes travel hazardous, the Village will close for however long as necessary. 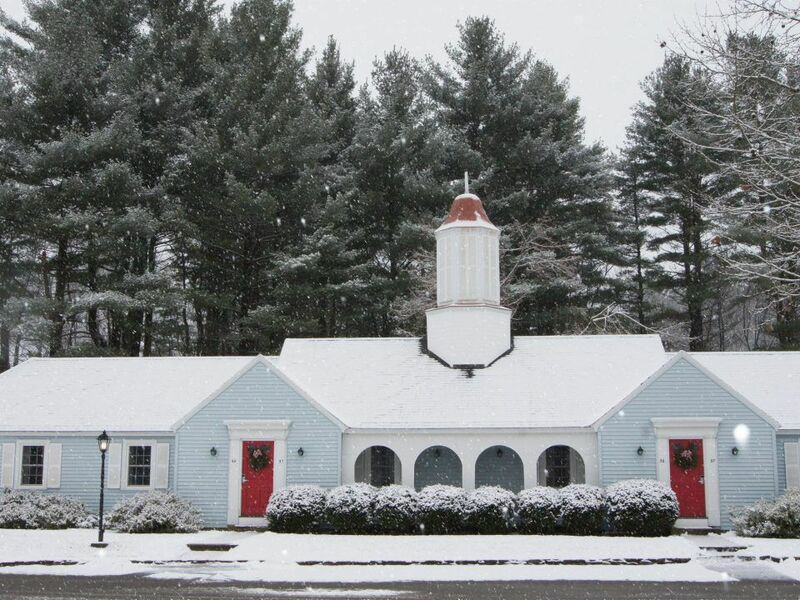 Any notice of the museum closing due to weather will be posted on the Old Sturbridge Village Facebook page, Twitter, and the main website (on this page and the homepage). If you cannot attend on the date you originally intended on visiting, you may apply your ticket to a later date. Standard tickets are good for any one of the following dates: November 30 or December 2, 7, 9, 14, 16, 20, 21, or 23. Prime tickets are good for any one date of Christmas by Candlelight, 2018: November 30 or December 1-2, 7-9, 14-16, and 20-23. If you have pre-purchased standard tickets at the early-bird rates but are ultimately only able to come on a Saturday night, you will need to pay the difference in price upon arrival. No exceptions will be made and the difference will be based on the price of purchasing tickets for a Saturday night ticket at the door. Are there discounts for Christmas by Candlelight tickets? As they say, the early bird gets the worm! 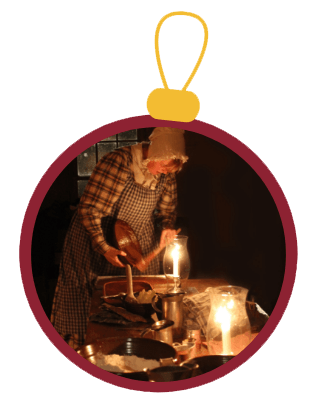 Village Members receive 50% off on all Standard Christmas by Candlelight tickets purchased through October 31, 2018. Members receive 25% off all Standard Christmas by Candlelight tickets purchased November 1 – Thanksgiving (November 22, 2018). Members may purchase tickets for non-member family and friends at the member rate. Non-members receive 15% off all Standard Christmas by Candlelight tickets bought through Thanksgiving (November 22, 2018). There are no discounts on tickets for prime tickets (Saturday dates). Discounts that apply to daytime museum admission do NOT apply to Christmas by Candlelight. What food options will be available during Christmas by Candlelight? 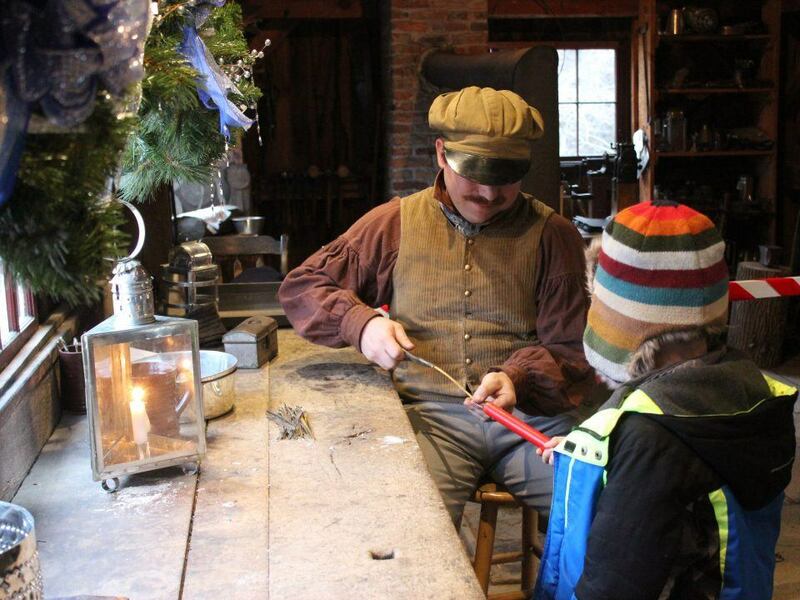 Old Sturbridge Village offers both full-meal dining experiences (reservations required, see links below for more information) and opportunities to purchase sweets, warm drinks, and other snacks during Christmas by Candlelight. 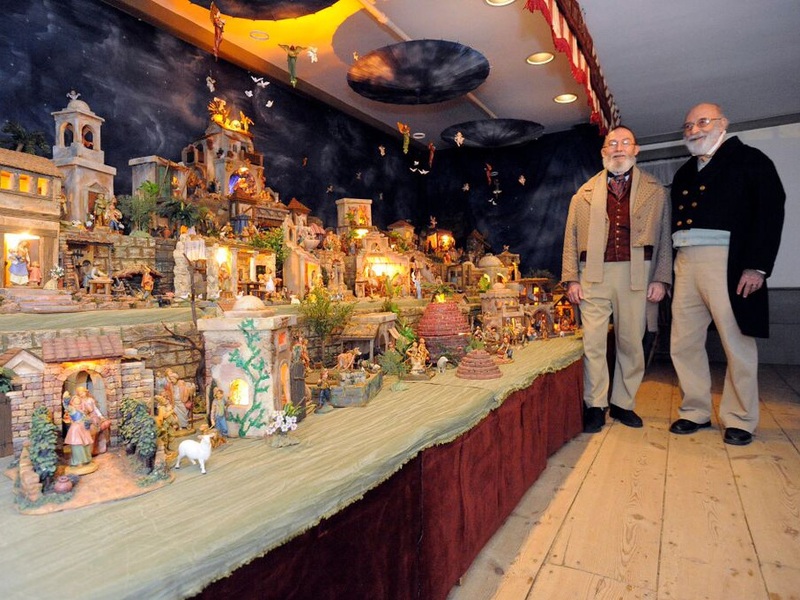 Learn about the Bullard Tavern Candlelight Buffet here. Learn about the Holiday Buffet in the Oliver Wight Tavern Garden View Room here. Learn about Sunday Brunch with Santa here. Free parking is available in the main parking lot at Old Sturbridge Village. Who should I contact if someone in my party has special needs or a question? Contact Old Sturbridge Village’s Visitor Center at 800-733-1830. While many Christmas by Candlelight activities take place indoors, there is plenty of walking outside between buildings. We suggest dressing in layers appropriate for the weather. 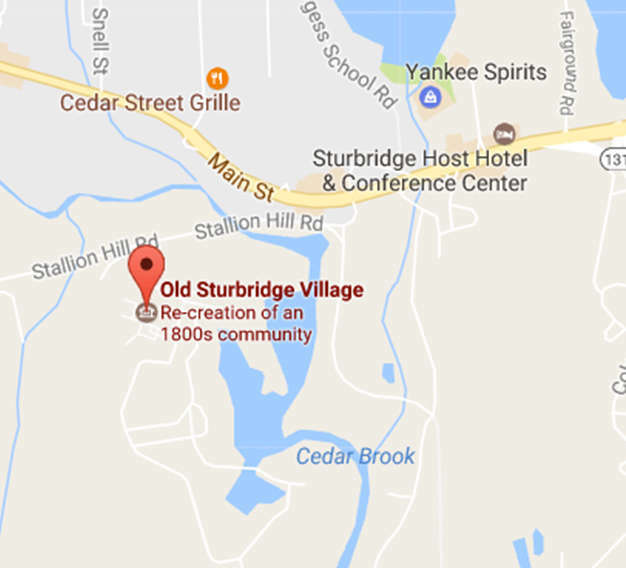 Is Old Sturbridge Village open during the day? 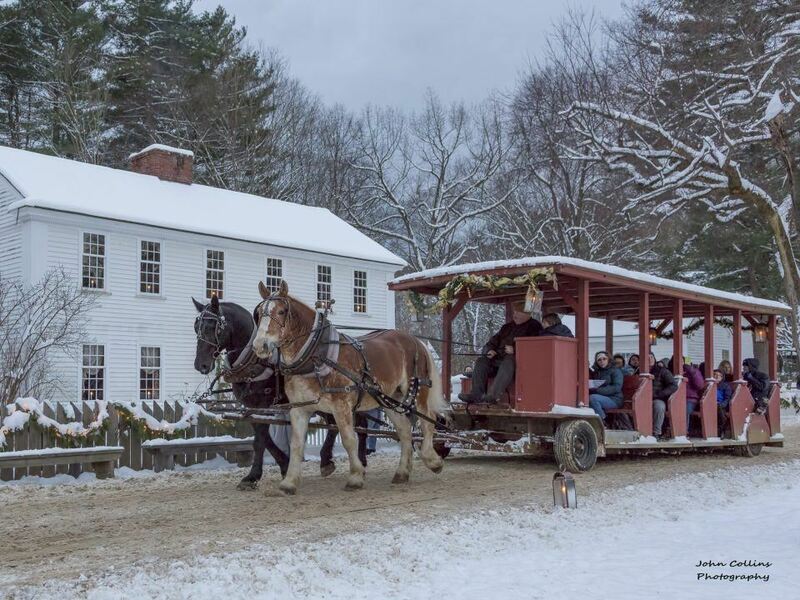 In order to focus on the evening holiday events, Old Sturbridge Village will be closed during the day from November 30 – December 23, 2018. The Village will be open December 27-30 from 9:30 am to 4:00 pm. The Village will be closed December 24-26.
Who should I contact if I have a question that isn't listed here? 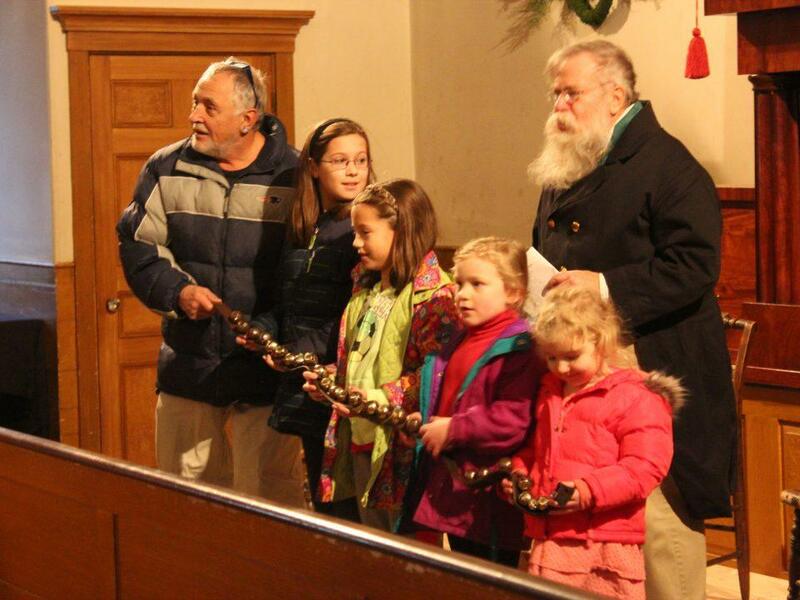 What time do particular performances and events happen during Christmas by Candlelight? You can check out the date-specific mapguides and schedules here. Schedules are always subject to change. 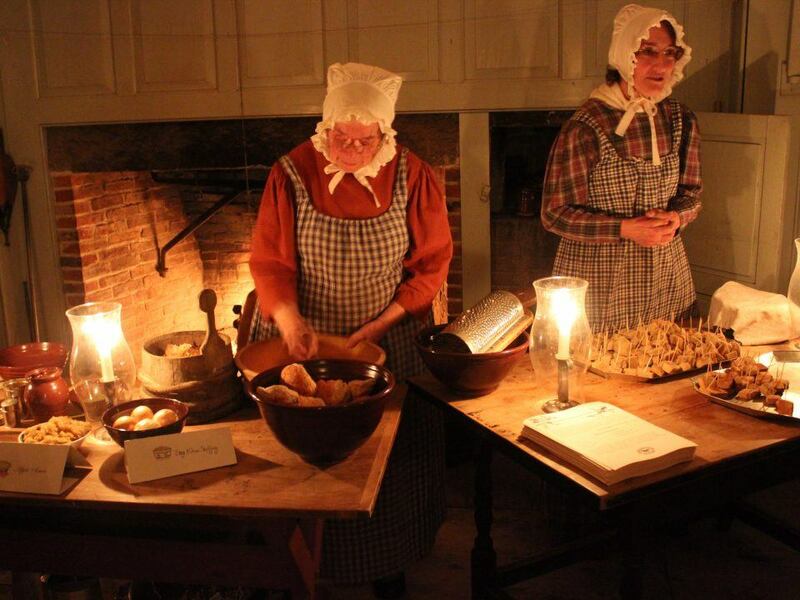 Old Sturbridge Village offers two sit down dining experiences during Christmas by Candlelight. Reservations are required. Christmas by Candlelight attendees can also purchase sweets, warm drinks, and other snacks at designated locations in the Village. 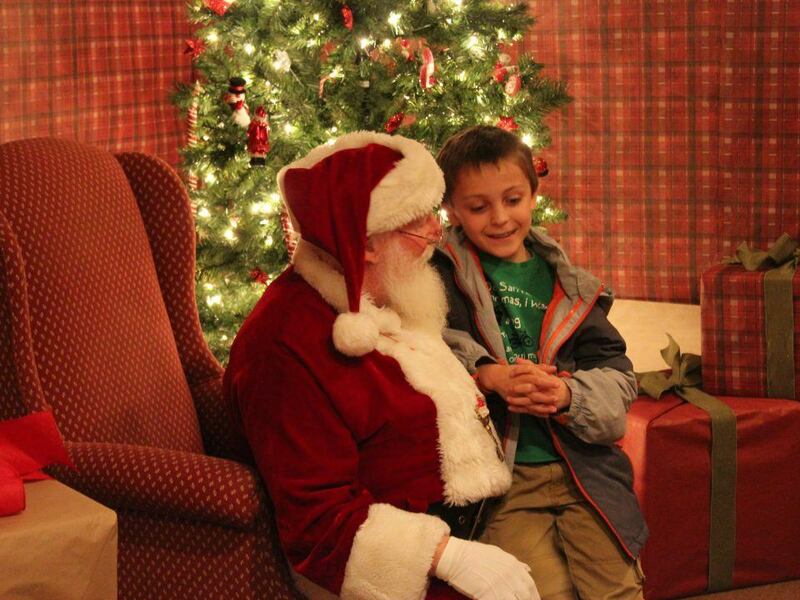 A Brunch with Santa is also available on select Sundays in December. Reservations are required. More information will be available in October. 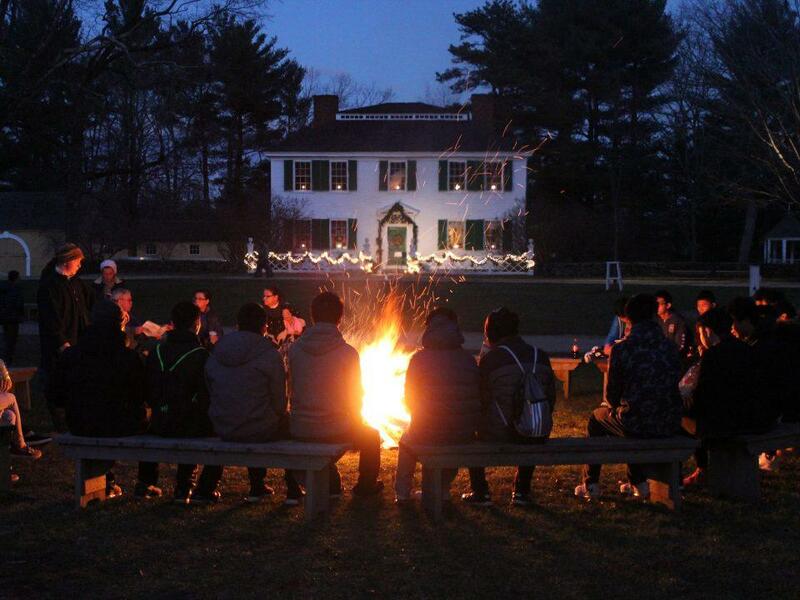 Consider extending your stay after attending Christmas by Candlelight and enjoy a restful night’s stay at the Old Sturbridge Inn & Reeder Family Lodges – recipient of Trip Advisor’s 2014, 2015, 2017, and 2018 Certificate of Excellence Award.